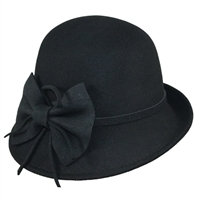 Parkhurst- Ella Cloche w/ flower accent. 100% Cotton. Lightweight, Crushable. Made in Canada. One Size. Parkhurst - Lidia Cloche. 100% Wool Felt. 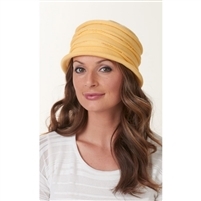 Comfortable, crushable cloche hat with gathering detail and reinforced memory brim. Water repellent. Made in Canada. Parkhurst - Deco Cloche with tipping. 100% wool felt cloche style hat with tipping detail. Made in Canada. The Jeanne Simmons wool felt cloche is a beautifully made hat. 100% cotton, Washable made in Canada!